Human rights activist advocate Sultana Kamal on Friday blamed the culture of impunity and procrastination in law implementation as the reasons behind the rising incidents of communal violence. 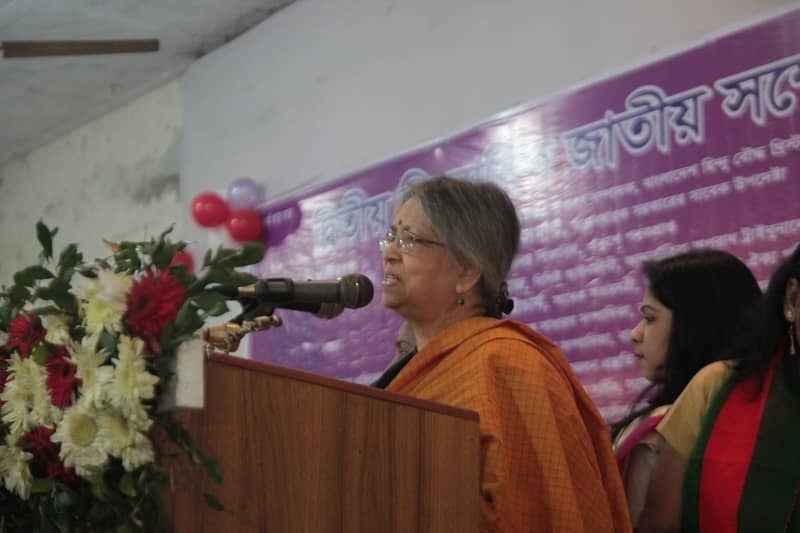 Sultana Kamal, also adviser of a former caretaker government, came up with this claim while speaking as the chief guest at the 2nd Triennial National Conference of Bangladesh Women Unity Council held at the Jatiya Press Club, reports UNB. “On an average about three to five incidents of communal violence are happening in the country everyday. If there were proper justice, identification of the criminals and their exemplary punishments, then such incidents would not have happened,” she said adding that the state has failed to play its expected role to ensure security of its people from different religions. Stating that patriarchal society always tries to dominate women, Sultana also urged the women to be aware of their rights and speed up the movement against communal violence unitedly. Announcing the subjective committee of the council, advocate Rana Dasgupta, General Secretary of Bangladesh Hindu Buddhist & Christian Unity Council, said the constitution of the country is being communalized. According to the constitution of the country, everyone has equal right , he said, adding that, it is not possible to build Bangladesh as dreamt by Bangabandhu Sheikh Muzibur Rahman with such communalism. Among others, Sabritri Bhattacharya, former president of Bangladesh Women Unity Council, Manju Dhar, former general secretary of the council also spoke in the porgramme presided over by Jayanti Ray, president of the council.